CANactions: What is Urban Catalyst and what was the story behind this idea? Klaus Overmeyer: Urban Catalyst was founded in 2004 by landscape architect Klaus Overmeyer as a spin-off the EU-funded research project „Urban Catalyst" (2001-2003), investigating the potential of temporary uses for urban revitalization. The philosophy of Urban Catalyst is deeply rooted in a user-based and process-oriented approach towards spatial transformation. Today Urban Catalyst develops participative models for the strategic design and use of spaces in transformation for cities, private enterprises and civil organizations. 22 experts in the field of architecture, urban design, city planning, environmental design, politics and landscape architecture join Urban Catalyst. The office is owned by 9 partners and organized in cooperative-leadership-models. Responsibility is taken by a broad range of roles and teams. Each project is different and we don't have one recipe for all challenges. One of our most crucial approaches is, that we develop concepts in dialogue-based processes with our clients and often with multiple ranges of actors. In order to deal with increasing complexity of positions and factors which have an impact on spatial transformation we put a lot of attention to a good process design at the beginning of a project. In interactive workshops with all relevant project stakeholders, we define phases, milestones and achievements, participative formats and the steps for content production. The process design is the navigation system for planning. My most important project is the transformation of the organization Urban Catalyst. I started Urban Catalyst on my own and led the office for 12 years in a „one-chief-policy". According to the motto „practice what you preach," I decided in 2017 to share responsibility and leadership with the people I work with. Former employees became colleagues and shareholders. Today I still own 68% of the company. My vision is to become redundant in the end by transferring successively all shares of the company to my colleagues. I personally like working with small groups or large audiences who are willing to develop a common vision. Most of our projects deal with both – building communities as well as shared visions for the development of spaces in different scales. What is the role of community in your practice? Communities play a crucial role in our practice from different perspectives. On a global scale we work in research projects dealing with the question of how we can share limited resources and how can cities become catalysts for the implementation of the 17 global Sustainable Development Goals. Moreover, a lot of our projects deal with public interest design: How can we develop cities and spaces in a common interest? 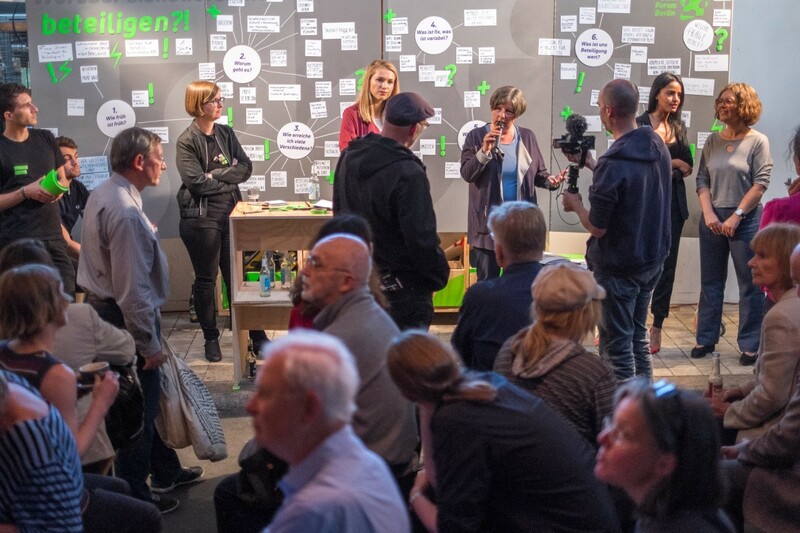 How can people´s vision be integrated into planning processes? What do you find the most challenging aspects of your work? As we mostly work on a strategic level one of the biggest challenges is the implementation of results. Although we are architects and planners our products often have an indirect impact on the design of spaces. 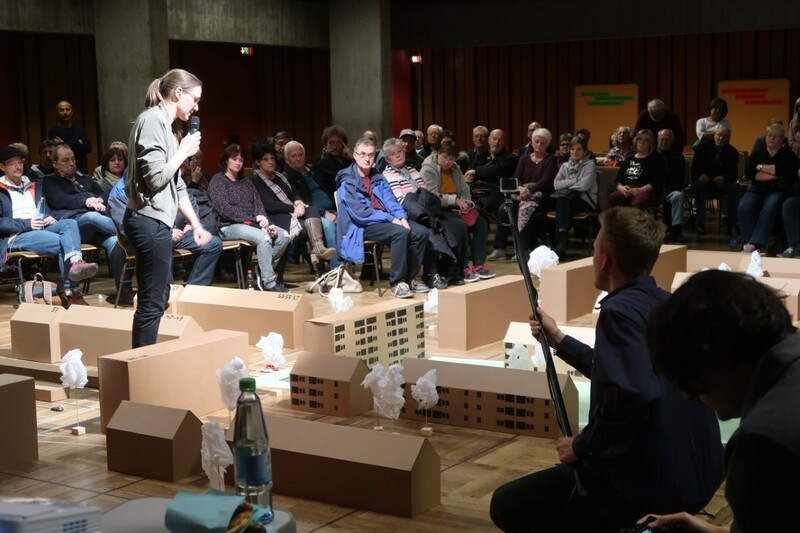 It would be great to combine both more in future – participatory concept design and spatial design. How do you see your main professional mission? Enabling people to co-produce spaces on different scales. From my point of view, new professions will emerge at the interface of transformation and spatial design. What we need are spatial transformation designers, process freaks, stakeholder catalysts, complexity builders and more gardeners. What skills will be crucial for these professions? As architects, we are educated to reduce complexity with our genius designs. In contrast to that, the future challenge in spatial development is not to reduce complexity but to use it as a building material of the new world. Core competence in this field is on the one hand to identify the driving forces of spatial development. On the other hand, we have to make the peoples visions on space visible .make visible and integrate them into planning processes.